We’ve all heard the refrain of “fracking doesn’t contaminate water”. We’ve heard it from the Natural Gas Industry, from their front groups, from politicians, from the government environmental departments and their supporters. This is true, because fracking is just one small part of the entire process of natural gas drilling. The “frack” is the moment of explosion where the shale is shattered, and in that moment of explosion there is no contamination. 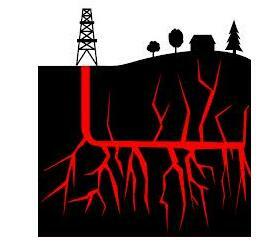 Contamination may occur at other points of the entire process of natural gas drilling. Many reports of groundwater contamination occur in conventional oil and gas operations (e.g. failure of well-bore casing and cementing) and are not unique to hydraulic fracturing. Surface spills of fracturing fluids appear to pose greater risks to groundwater than hydraulic fracturing itself. Blowouts – uncontrolled fluid releases during construction and operation – are a rare occurrence, but subsurface blowouts appear to be under-reported. DCS has over 30 of these letters available for you to read, and from their website, it sounds like they will have even more available soon. Dates on the letters range from as far back as 2009 to May of this year. The determination letters are from Orwell, Tuscarora, Alba Boro, Monroe, Wilmont, Terry, Granville, Asylum, Leroy, Smithfield, Troy, West Burlington, and Windham. Tags: DEP, Department of Environmental Protection, determination, drilling, fracking, natural gas, water contamination | Permalink.